Book the best excursions, tours and activities in Tenerife online on sunbonoo and enjoy unforgettable holidays. Tenerife is not huge but that doesn’t stop it from having something to suit everyone. Put together a list of awesome activities and make your holiday memorable for all the right reasons. There is plenty to get up to on the island so let your imagination go wild as you think of as many things as possible. Whether a quad tour is more up your street or a hike into the mountains floats your boat – find the ideal excursion in Tenerife for you and your loved ones. If you’re more of an aquaphile then why not try out a spot of diving and get acquainted with the underwater world in the Mediterranean Sea. If you’re a foodie or like to swot up on history and culture, then you’re also in for a treat in the Canaries. Tenerife is no stranger to nature and is home to the biggest national park “Teide” in the Canaries. The National Park enchants everybody with its contrasting colours, which are created by all the different types of rock. Another destination worth seeing is the moonscape Paisaje Lunar. It got its name from the remarkable and somewhat bizarre rock formations which are a result of volcanic eruptions over time. Holiday anticipation is half the fun! Find over 300 trips for Tenerife your personal tours and create your individual tour plan relaxed from home. Tenerife is an island that offers a lot of variety and is known for great attractions especially for newcomers of the island. All important information about the tours itself as pick-up times, pick-up locations, duration of the trip etc. you will automatically receive directly after booking by email. Tickets for tours on Tenerife are also perfect as a gift on special occasions of your loved one. You have already booked your holidays in Tenerife? Then you may plan your personal tours plan. Choose now from a wide range the most beautiful tours in Tenerife. The largest island of all Canary Islands has much to offer in the leisure sector. The beautiful scenic island was even awarded by the UNESCO as a World Heritage Area, because the volcano-like nature is unique. In Tenerife you will find the highest mountain in Spain, Pico del Teide, with almost 4000 meters, the center for numerous excursions on the island. The beautiful areas of Tenerife can be explored in adventurous, but also quiet way. The locals in Tenerife have adapted their excursion programs fully to the needs of the tourists and offer a wide variety of tours. In almost all excursions, guests will be picked up from your accommodation and be transferred to the starting points, which is included in the prices. There are numerous excursions on Tenerife, some of which can be particularly recommended. The Jeep Safari Tenerife through the volcanic area around the Pico del Teide is one of them. This can easily enjoy a limousine with a personal guide. For the more adventurous you can take part in this on the other, with specially provided jeeps with all-wheel drive as a driver. Who can not get enough of adventure holiday you should definitely take a Paragliding Tour Tenerife. Breathtaking views of the entire island from a height of more than 2000 meters devious a tandem flight downright breath. 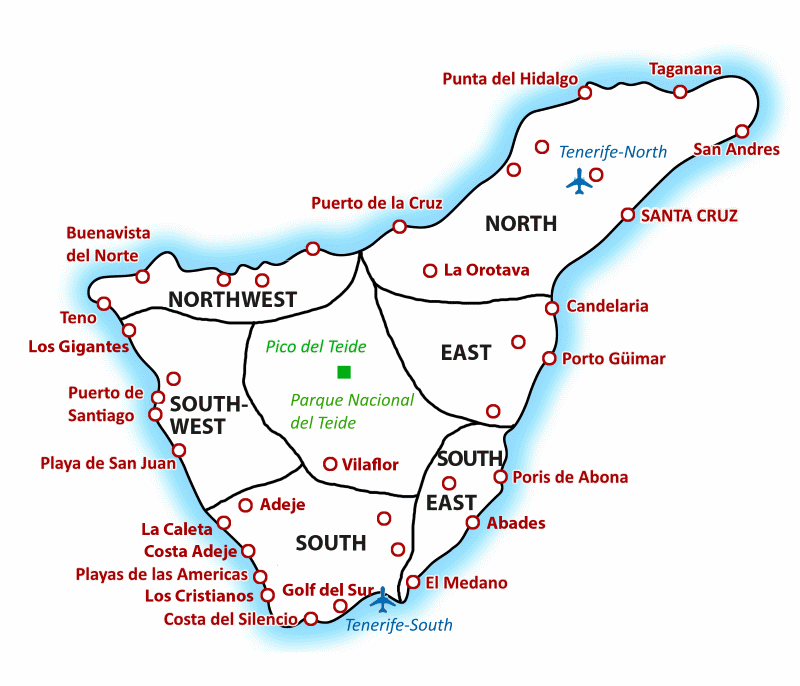 The quickest and most effective way to explore all the key areas of the island is the island tour of Tenerife which starts in both the north and south part. By limousine and with a personal chauffeur you will take the tour on a very convenient way. This tour is recommended especially for older travelers who do not like to take long walks. Of course, water sports activities on Tenerife is huge, the conditions ideal. From Tenerife Kitesurfing, Windsurfing Tenerife, jet skiing Tenerife, parasailing Tenerife drive to sailing alone and in the group is all there. Those wishing to explore Tenerife from the air, can not miss the parasailing offer. It offer gorgeous views over almost the entire island. For lovers of nightlife Tenerife also offers a wide range of dinner shows Tenerife, musicals and party tours. The best excursions, activities and tours in Tenerife can be booked upfront by every fan of the Canary Islands on sunbonoo online. By booking a fixed reservation of places is automatically done. Due to the very mild climate of Tenerife most trips are offered year round. Hotels that close in the winter, do not exist in Tenerife. So, get away from the cold temperatures in Germany and experience an unforgettable vacation. The team of sunbonoo looking forward to your holiday in Tenerife!